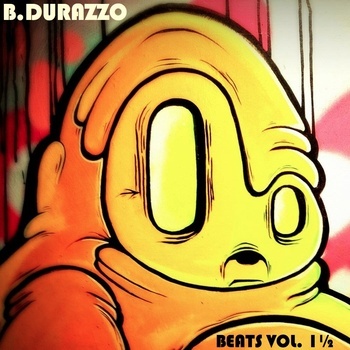 B.DURAZZO made a beat tape way back in May called “Beats Vol. 1½” that I completely slept on. The truth is that I only discovered this beat tape after a beat video of his that I’ll post in PIK in a short while appeared in my YouTube subscriptions when I didn’t subscribe to his page. Thanks for the screwup, YouTube! It’s helped my site tremendously over the past couple of days. I appreciate it!